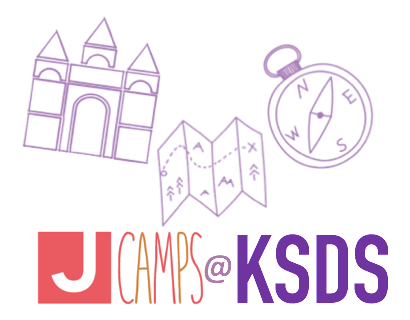 Krieger Schechter Day School and the Jewish Community Center of Greater Baltimore (JCC) have partnered to offer an exciting new edition to the J Camps line up this summer. For two weeks in July, J Camps will be running two STEM-Plus camps in our very own Abramoff MakersSpace where children will engineer, explore, build, and invent while having fun! While in the MakersSpace, campers will follow the steps of the design process as they create their own solutions to authentic problems. The remainder of the day will be spend with J Camps counselors and specialists doing camp activities and exploring the KSDS campus. Step 1: Build. Campers will utilize Magformers, Keva blocks, cardboard and other materials to build strong, sturdy structures. Step 2: Destroy! Campers will invent, design, and create destruction machines to knock them down to the ground. What do you need if you are lost in the woods? Campers will ponder that question as they invent and build tools to solve the problems, including solar ovens, LED lanterns, compasses, and more. Click HERE for J Camps pricing. An early bird special is available until 1/31! Sign up and save $150 on five or more weeks or $75 on two to four weeks.